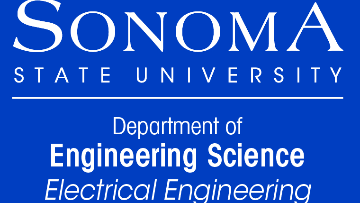 The Department of Engineering Science within the School of Science & Technology (SST) at Sonoma State University (SSU) is seeking a highly motivated teacher/scholar at the Assistant Professor level to start in August 2019. The Department of Engineering Science offers a bachelor's degree in Electrical Engineering with specializations in electronics and communications and a master's degree with specializations in communications and photonics, and computer hardware and software systems. The successful candidate will teach electrical engineering courses and laboratories at both undergraduate and graduate levels. In addition to teaching face-to-face courses, the successful candidate is expected to be actively involved in external/internal grant writing and building collaborative research projects with the local industry. The Department takes pride in teaching excellence and hands-on student-centered research and projects. With more than 40% underrepresented minority population, the Department is committed to expanding and diversifying participation for all students. We strongly encourage faculty candidates with similar goals and relevant experience to apply. To apply for this position, go to www.sonoma.edu/jobs and select Job Opportunities - External Applicants (Keywords Engineering / Posted: Anytime). For more information please contact facultysearch@sonoma.edu. G1. A Ph.D. in Electrical Engineering, Computer Engineering, or a closely related field on or before the start date. G2. General understanding of the North Bay and its high-tech industry as well as the interest and ability to build collaborative research projects with the local industry. G3. Interest and willingness to participate in the academic committees, program assessment (e.g., ABET) and take on administrative work as needed at department, school and campus levels. G4. Demonstrated interest and ability to work with diverse student population, staff, and faculty members. G5. Interest and willingness to collaborate in a collegial fashion with other faculty members. T1. Demonstrated expertise to teach a wide range of graduate and undergraduate electrical engineering courses and laboratory activities. Examples of such courses and laboratories are Electronic Circuits, Digital Circuits & Logic Design, Microprocessors & Embedded System Design, Analog & Digital Communications, Networking Protocols, RF and Microwave Communications, Wireless and Optical Communication, VLSI and ASIC Design, FPGA & DSP, Antenna Design, and Transmission Line Theory & Applications. T2. Evidence of excellent teaching ability in face-to-face instruction. T3. Expertise and ability to develop and guide hardware-based laboratory experiments, hands-on activities, and student projects for electrical engineering graduate and undergraduate instruction. R1. Expertise and ability to conduct research in areas related to the EE curriculum at SSU. R2. Evidence of ability to supervise and mentor undergraduate and graduate student research with significant depth and high competence within their respective disciplines. R3. Evidence of experience in writing internal and external grants. R4. Evidence of strong publications in premier IEEE (or equivalent such as ACM and IET) periodicals . R5. Motivation to develop research expertise in new and emerging subfields related to EE program at Sonoma State University.